This grieves my heart because this is the work of the enemy of our soul. The enemy does not want us to be in unity as believers. The enemy does not want harmony. The enemy seeks to bring discord, strife, and accusation. These are the tactics of the enemy because he doesn’t want us meeting together. In reality, the church is made up of Christians but we’re no different than anyone else in that we are all sinners. What makes us different from others, however, is that we have recognized our need for a Savior and we’ve been saved by His grace. But all of us, in the church and outside the church, are in the process of being refined by God so that we will look more like Him. So if you are looking for the perfect church, with perfect members, perfect attendees, perfect Christians, you’re not going to find it. Because we are all there, on our own journey to becoming more and more like Him. Saying that you’ve quit the church, or you’re no longer going to attend church because you’ve been hurt by the church, is like saying you ate in a restaurant and got food poisoning, so you’re never ever going to set foot in a restaurant again. It’s just not reasonable. If you are one who has been hurt by the church, or by fellow brothers and sisters in the Lord, I am sorry. I am. I am sorry because I know that pain. I have been hurt. Even fellow Christians who are near and dear to me have said things or done things that at first, really hurt my heart. It pierced and wounded me. But then I realized: it’s not even them. It’s the enemy working within them. When I’m able to separate people from their words and their actions, and recognize it’s not them, but it’s the enemy that dwells within them, then I’m able to extend forgiveness, and mercy, and grace, and respect, and love. I’m able to forgive them just like Jesus did on the cross. Jesus said, “Father, forgive them for they know not what they do.” I think that’s what He meant. He realized what they didn’t realize: that they were allowing the enemy to work through them, so they didn’t even really know what they were doing. But to say that you’ve been hurt by a Christian so you can’t trust Christians anymore is like saying a dry cleaner ruined one of your outfits so you can’t trust any dry cleaners anymore. That’s just an excuse. It’s a copout. Scripture tells us in Hebrews 10:25, “And let us not neglect our meeting together, as some people do, but encourage one another, especially now that the day of his return is drawing near.” That is so important because as we meet together corporately as a body, we worship together, we pray together, we praise together, and we have an opportunity to encourage one another. We need that so desperately in this world where so much is going wrong. There is so much that is bad in the world, so much evil that is just infiltrating its way into every aspect of our lives. We need each other in the body. We need to meet so that we can lift each other up, and encourage each other, and remind each other of God’s promises. But the enemy would like to convince you not to go. The enemy would like to keep you from attending Bible study. The enemy would like to convince you not to gather because that is where we draw strength. That’s where we encourage each other. That’s where we can hold each other’s arms up. The church should be a safe place where we learn to interact our of love and grace, working through hurts and disagreements, so that we are better prepared for the relationship challenges we will face in the world. I pray that despite the hurts you may have experienced, that you will continue to meet together, to encourage one another. We encourage one another in our company. Community affords the opportunity to encourage each other. May you encourage one another as you wait to see how God wants to use you, work through you and in you. 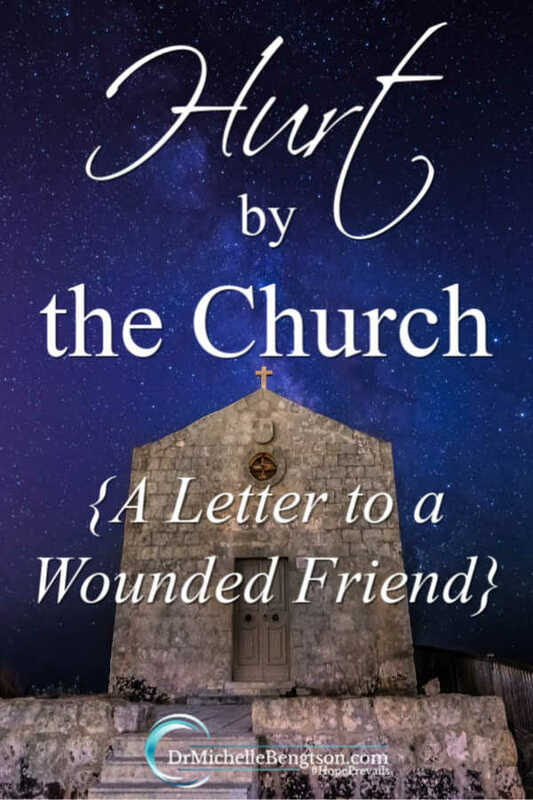 Have you ever been hurt by the church? How did you walk through the pain? What an amazing encouragement today!! I love your messages for they always hit right where I am living. We have a situation at church that could make us not go but oh no, we will not let the enemy win at all so we choose to be in community and to forgive the person and pray for that person to be drawn to Father’s throne. We were hurt at first but we do not want the enemy to win any ground in our life. 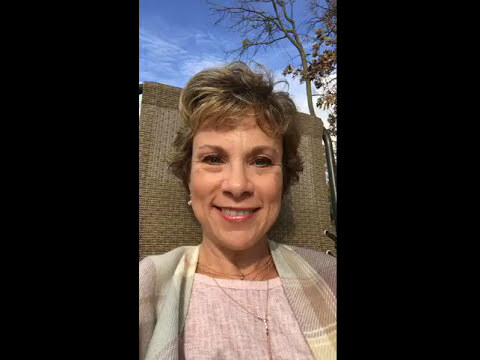 Your video, your Hope-Filled Perspective is powerful!! Thank you again for this powerful needed message for the body of Christ. Love you!!! Praying for you! The enemy is the one behind these situations…the prince of the air and the accuser of the brethren. He wants to make us take offense by a brother or sister in the Lord. But when we recognize that, it is easier to extend forgiveness rather than harbor bitterness and resentment. I understand this completely, I have seen people be pressured and totally ignored by others, there are some things the church can’t do, only God can, because His ways are perfect. The bride should be getting ready. I think that’s true. Sometimes I think we put unrealistic expectations on the church and on the church leaders. Ready indeed. Thank you, I agree. They are people too, I know I had higher expectation of myself as well, but only God can really fix things or heal. Hope you are feeling better. I see we are like-minded in many ways. Like you, I’ve known that if I attend a church, it won’t be perfect because I am far from perfect. I pray others will have grace and forgiveness for my mistakes, and me for them. I love your message about this, Michelle! I am certainly among those who have been hurt while among other believers within the church community. I prefer to say it that way, because “the church” did not hurt me. Those particular believers did. I so totally agree with you on every word you have shared here! And not only all that you’ve just said, but just as with everything else that the enemy means for evil, God will use these hurts for my good, growing me up and strengthening me in Him. And then there are those soul-enriching highlights where there is a touch point between me and other believers in mutual worship of our great God. This may come in corporate worship or it may come in one-to-one conversations in a variety of settings, or in small group sharing. That is His good plan for me when I continue in fellowship with other believers. This is “the church” and there is no forsaking that! MaryLee, you make some good points here. 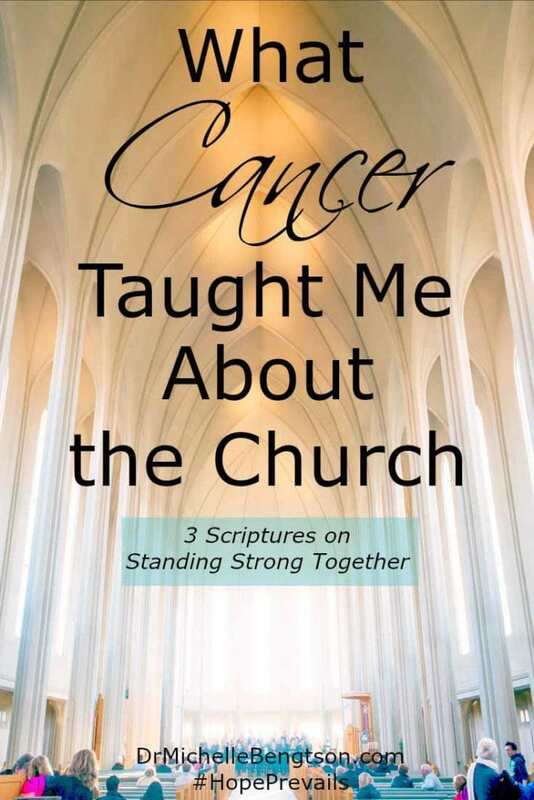 I used the words “the church” because we as believers are the church, and as such, we the church have hurt others, whether intentionally or unintentionally. But hopefully we can extend the same grace and forgiveness to others that we would hope they would extend to us. 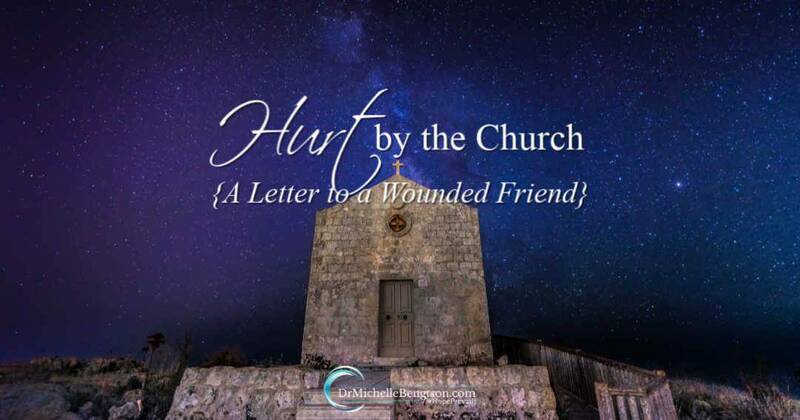 Hurt by the church is a frequent experience. It hurts. But it is also an opportunity to grow, and ‘do Life together’ learning forgiveness and mercy and grace! I agree with Aryn–hurt is an opportunity to grow (but that doesn’t make it easy, that’s for sure!). You’re right Anita. It certainly doesn’t make it easy. 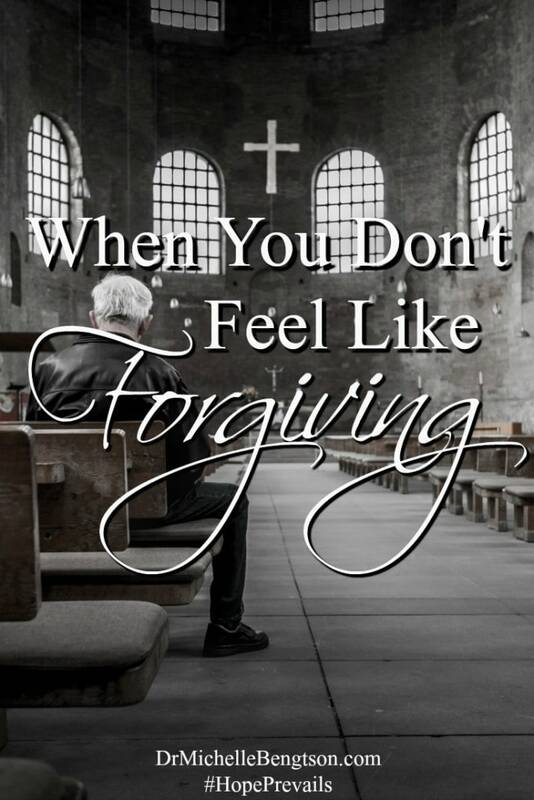 Whenever I’m faced with the opportunity to forgive someone who has caused me pain, I have to think about how Jesus forgave us all as He was hanging on the cross. Two things came to mind as I read your post. The first is Proverbs 14:4 which says, “Where there are no oxen, the manger is clean…” but of what value is a clean manger? Oxen are necessary to do the work of the harvest. A perfect church would have to be a church without people, but of what value would that church be? This is excellent counsel, Michelle. Thanks for sharing this (and so many other) wonderful articles with us each week Michelle! Thanks for sharing this (and so many other) wonderful articles with us each week!